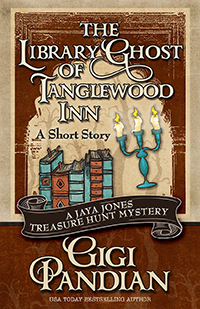 SMFS Member Gigi Pandian's The Library Ghost of Tanglewood Inn: A Jaya Jones Treasure Hunt Mystery Short Story is out now by way of Henery Press. 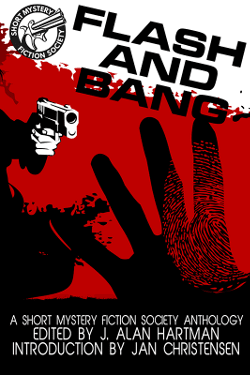 Published in digital format, the 39 page read is availble at Amazon and other vendors. An unsolved murder from the 1930s. A ghost story to explain the impossible crime. A dead man in the haunted library. A snowstorm waylays Jaya Jones and Tamarind Ortega. It seems almost too good to be true that they find rooms for the night in beautiful old inn—until they find a dead man clutching an Agatha Christie novel in the secluded hotel’s library. Worse yet, Tamarind is accused of the crime. To clear her friend, Jaya must delve into the history of the hotel’s haunted library. The present-day mystery is eerily similar to a mysterious unsolved death in the 1930s—could it be the work of the library’s avenging ghost? If you’ve never met Jaya Jones or been on one of her adventures, this is a great place to start. And lucky you, you have the whole series (and the novella!) to look forward to!